By going to a bike expo you probably couldn’t tell that the largest cycling crowd out there just wants to go from point A to point B and has no or very little interest in carbon frames, electronic shifting and power meters. Too few manufacturers try to innovate and spend time and money on designing accessories for casual riders. So when I saw the bike basketlid booth at Sweden Bike Expo and after I talked to guys for a couple of minutes I knew I had to write about their fantastic product. The bike basketlid is the modern storage solution for active bikers and can easily be fitted on to any bicycle model. 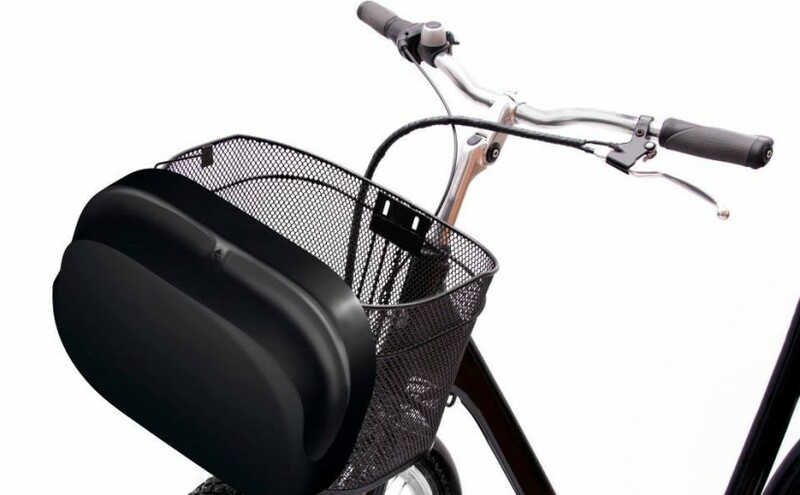 It has an easy open and close lid equipped with a lock that enables you to leave your belongings in the basket. The bike basketlid is (surprise! surprise!) a basket with a lid that can be locked. The idea and realisation is so simple that one could wonder why bicycles (the ones with a basket) aren’t equipped with such a thing already. And, the company behind the product being Swedish (Solna), I could not leave Sweden Bike Expo behind without mentioning this brilliant accessory. The wife already loves it and she’ll be a first adopter, for sure. For more information, feel free to visit their website or Facebook page.